The Peugeot Citroen concern is working on a project that could create a revolution in the world of cars. 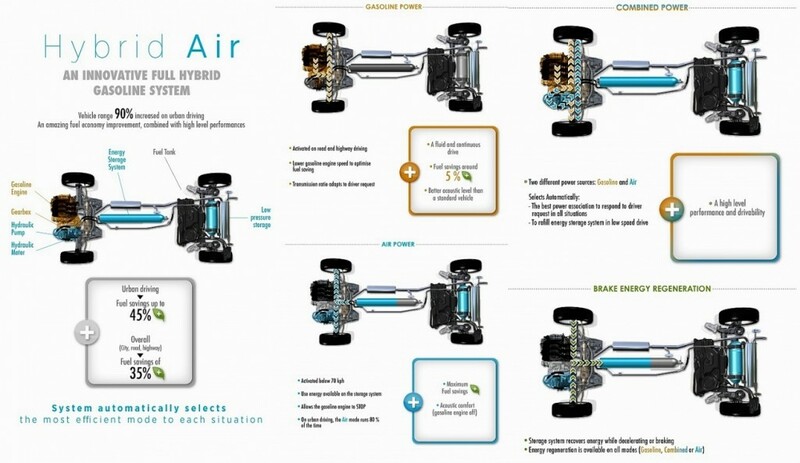 The new technology is called “Hybrid Air” and it will be available on the market by the year 2016. In short words, the new technology packs the concept of a car that works with compressed air. It may look like something extracted directly from a Sci-Fi movie, but the technology is here for some time, and Philippe Varin, the chief executive of the company, decided to put all the chips on this bet in order to save the company’s reputation and its future. Peugeot engineers have over 100 scientists that are working really hard on this project for over 2 years. Their secret “base” is located in France, in Velizy, a small city near Paris. History teaches us that many scientific discoveries were made in a time of crisis. This seems to be the case here, because the “Hybrid Air” project is Philippe Varin attempt to save the world famous company from the imminent bankruptcy. 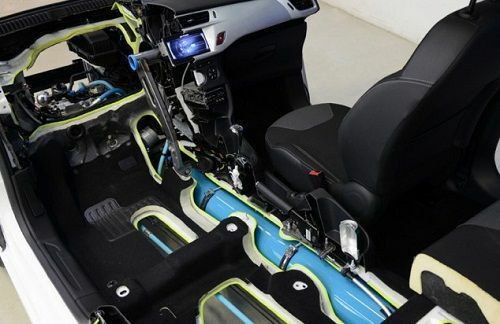 They are creating more than a car, since the revolutionary air compressed system can be installed on any car without changing its design and space. The revolutionary new engine combines oil with compressed air and it’s possible to blow away the hybrid car market, because there will be no need for expensive batteries, a big drawback of current hybrid cars. The system combines an internal combustion engine with a modified gearbox and cylinders with compressed air that store and release the stored energy. This allows it to work with both fuel and air or a combination of the two. The air-compressed mode could be used in the cities, when the system will activate at speeds below 60 km/hour (37 miles per hour), so it will be used in 60-80% of the time spent in city traffic. Also, the compressed air can reuse all the energy that’s normally lost when the car slows down or when the driver brakes in various situations. Would you buy this car instead of another hybrid car that runs on batteries?